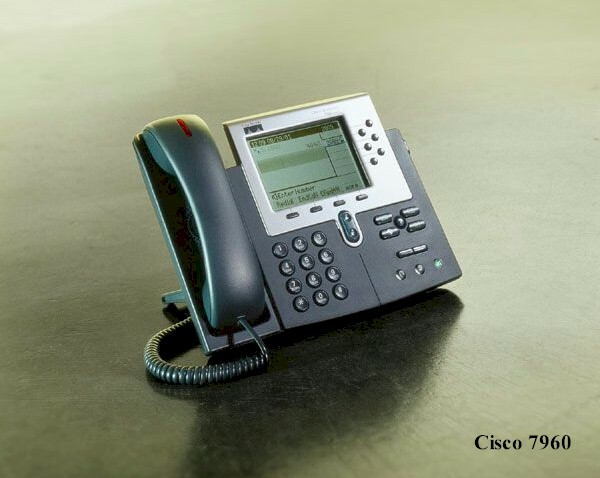 Access America provides telephone systems for businesses including a hosted PBX telephone system that relies on IP (internet protocol) technology and uses Cisco 7960 and 7940 telephone sets and is perfect for smaller offices who don't want to purchase a phone system, just the sets, or for large organizations that want a single phone system that connects all of their offices without requiring channelized T1s connecting multiple on-premises phone systems. Also, in addition to outright purchase of a system, we also provide leasing options so you can save your capital for other projects. For more information or pricing, please call us at 865-482-2140.or fill out our online form. Note the icons showing different types of calls, outgoing calls to another station, outgoing calls to another phone number and an incoming call that went to voicemail with the date, time and length of the call. Also note that the telephone numbers are "clickable" which means that you can use your mouse to click on a phone number and your phone will dial that number, hence "click-to-dial." The web portal also provides an easy way to manage your calls by forwarding your phone to your home or cell if you leave the office or send calls to voicemail that is included with each phone! Call us at 865-482-2140 or 800-860-2140 for more information!